While women are viewed as the typical family caregiver, increasingly men are stepping up, either by choice or necessity. According to a recent AARP report, Breaking Stereotypes: Spotlight on Male Family Caregivers, 40% of the family caregivers of adults are male, up from 19% just 15 years ago. That equals 16 million male family caregivers in the United States. Like all family caregivers, men face the typical challenges: little choice in taking on the care of a loved one; being more prone to health problems and depression than a non-caregiver; often being caregivers for financial and medical care, as well as activities of daily living. However, male caregivers have their own issues as well. Men have been taught by society to be strong and stoic, particularly those who now are in their 60s and 70s. Solve the problem, think strategically, put on a brave front for everyone else. Men are usually more uncomfortable with hands-on personal care. This is possibly because they didn’t spend as much time rearing children as their female counterparts. However, more than half the respondents provide care to an aging parent, in-law, or spouse with a long-term condition that required assistance with activities of daily living. 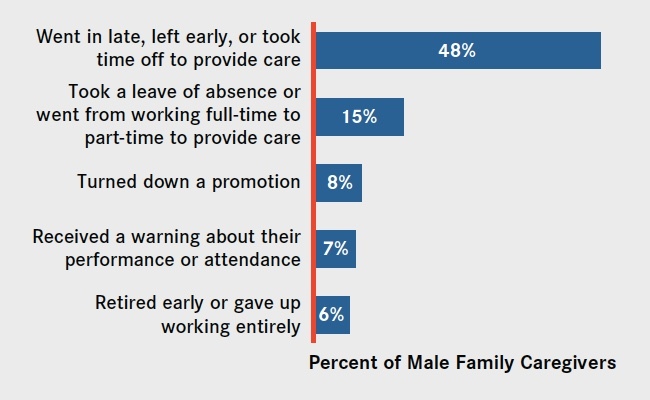 Male caregivers are more likely to be working while caregiving (66%), compared to female caregivers (55%). 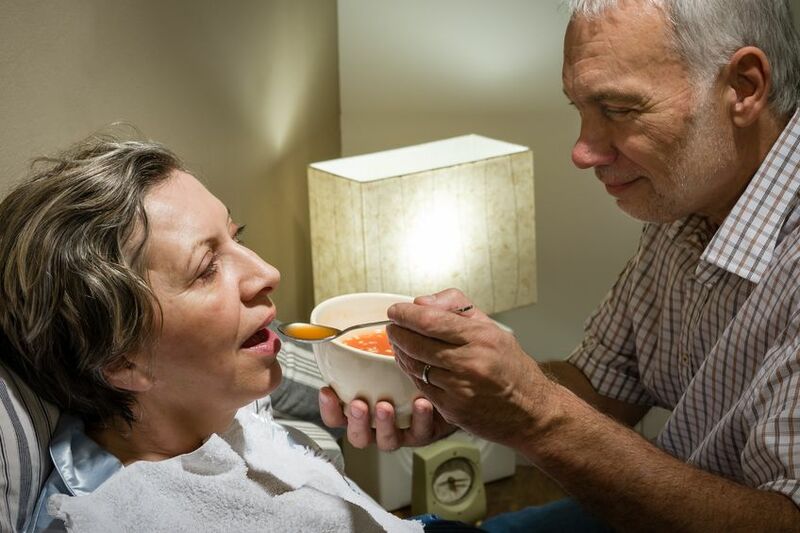 Seeing caregiving as a separate responsibility, rather than as an activity that is taking over your life, makes it seem more manageable and less stressful. Typically, male caregivers are less likely to open up about their emotional stress or feelings of depression. Unfortunately, men often lack the peer support and are less likely to discuss caregiving issues with others, to help deal with the isolation and overwhelming feelings that comes with being an adult primary caregiver. Finding support is vital for all caregivers to understand that they can’t carry the caregiving burdens alone. Male caregivers need to talk about problems they are encountering, let their guard down a little bit. They can get and give understanding and empathy from other men in the same situation.